Accessories Unlimited AUSM13 Stainless Steel Side Mount for various vehicle and base mount applications. 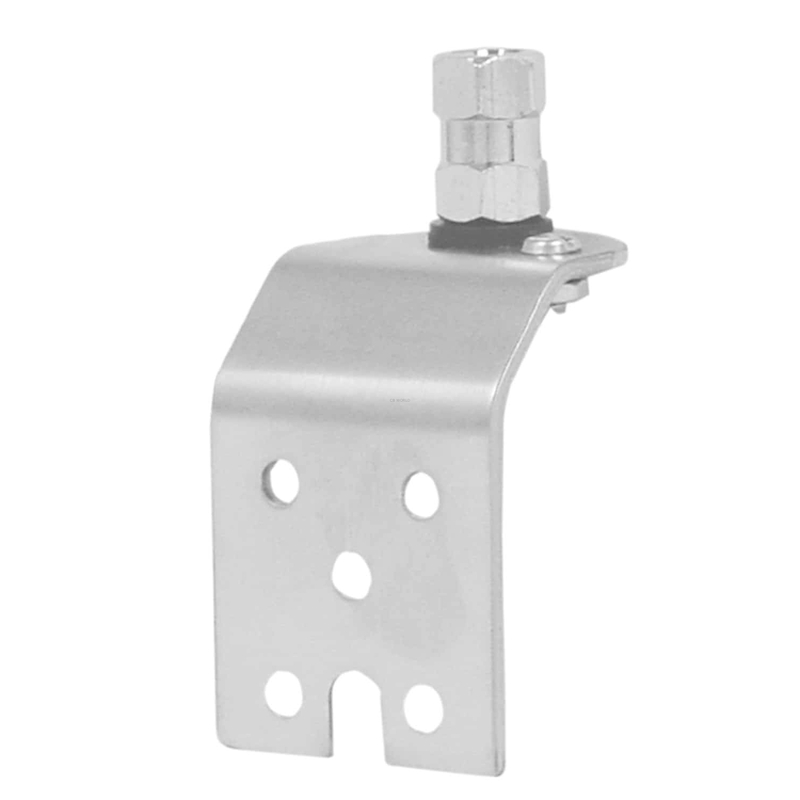 If you need an antenna securely mounted, this antenna mount is tough and reliable. The AUMS13 mount can install under the hood and sometimes might not require you to drill any holes or make any modifications to your vehicle. You will want to assess the hole pattern to see if that might be the case. 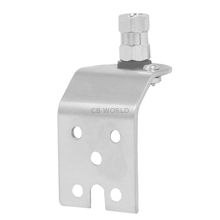 An antenna stud with lug terminator, for attaching to RG58 or RG59 coax, is furnished with the AUSM13 mount and is compatible with standard 3/8 x 24 threaded antennas. High quality RG8X coax cable with lug connector is recommended for use with the AUSM13 mount.